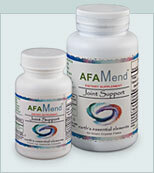 Advanced-Water-Ionizers.com For the most complete information on top quality water ionizers and advanced nutritional products give us a visit. Our store is artfully designed to help you easily find what you are looking for. Under Water Systems you will find Advanced ater Ionizers, Prefilters, Whole House Filters, Shower Filters, Hard Water Treatment, Faucet Filters, and WaterPik. 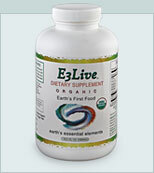 Under Nutritional Supplements you will find Alkaline Booster Drops, Enzymes, Herbal Extracts, Minerals, Rich Distributing's MSM, Nordic Naturals Omega 3 & Cod Liver Oils, Cellfood Products, the best Superfood products, and Vitamins. Under Detox Tools you will find Herbal Cleanses, Herbal Extracts, Far Infrared, Heavy Metal Chelation, and Detox Foot Pads. If you are looking for a genuine Kangen Water machine that is built by the makers of the Leveluk SD501 marketed by Enagic, but don't want to pay an arm and a leg then visit KangenWaterIonizers.com. Want a water ionizer made in Japan? You have come to the right place. At Japanesewaterionizers.com you will find medical grade alkaline water ionizers of the highest quality, made in Japan based on the same technological design as the Enagic Leveluk brand. Don't worry, you won't need to pay $4,000.00 for one. In fact it is difficult to say which company came first, Enagic or Impart Group, because they had one mother and they were born about the same time. There machines use the same filter design. Visit Japanesewaterionizers.com and discover great Japanese models such as the powerful MX99 Advanced Water Ionizer which can do everything the Leveluk SD501 does at almost half the price. Also, they also carry a full range of other related and support products, like replacement filters, pre-filters, shower filters, hoses, faucet diverters, water test kits, citric acid cleaning cartridges, Whole house filters, health books and much more. The Genesis STEEL is the latest in 9 plate technology and it is the new standard. Get clean crisp highly charged anti-oxidant and alkaline water with this state of the art water filtration device. Rest assured this is the finest alkaline water ionizer you can find. 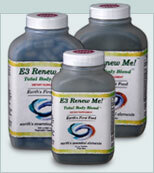 Genesis Steel is not an Enagic Kangen product. MicroWaterMan.com We have built a reputation of great customer service based on honesty and integrity. We have been around longer than most companies selling water ionizers. We started with the Pure Porte II and the MicroStructured Water system. Today we carry machines from Toyo including IE-400, IE-500, and IE-900. We also carry the following Jupiter water ionizers including Orion, Aquarius, Melody, and MicroLite. We also carry the top tier alkaline water ionizers from Life Ionizer including Life Ionizer 5000, Life Ionizer 7000, Life Ionizer 7500, and Life Ionizer 8000. 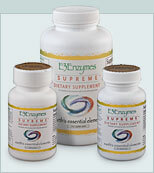 We also carry several powerful nutritional supplements. 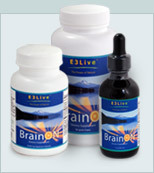 Alkaline Boosting Drops such as Alkalife, Alkazone, and pHion Alkalive. 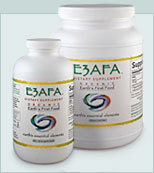 We carry the full line of Freeda Vitamins, and E3Live blue breen algae products. 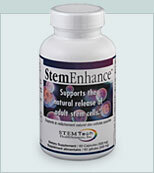 We also carry the incredible new Adult Stem Cell Enhancer called StemEnhance and a host of other great health products. Copyright © 2012. AlkalizingNutrition.com, Inc. All rights reserved.